The information presented on this page was originally released on April 5, 2007. It may not be outdated, but please search our site for more current information. If you plan to quote or reference this information in a publication, please check with the Extension specialist or author before proceeding. MISSISSIPPI STATE -- An unknown enemy is destroying honey bee colonies across the nation, and researchers are scrambling to discover what is causing it and how it can be prevented. The problem is being called colony collapse disorder, and it was identified in late 2006. 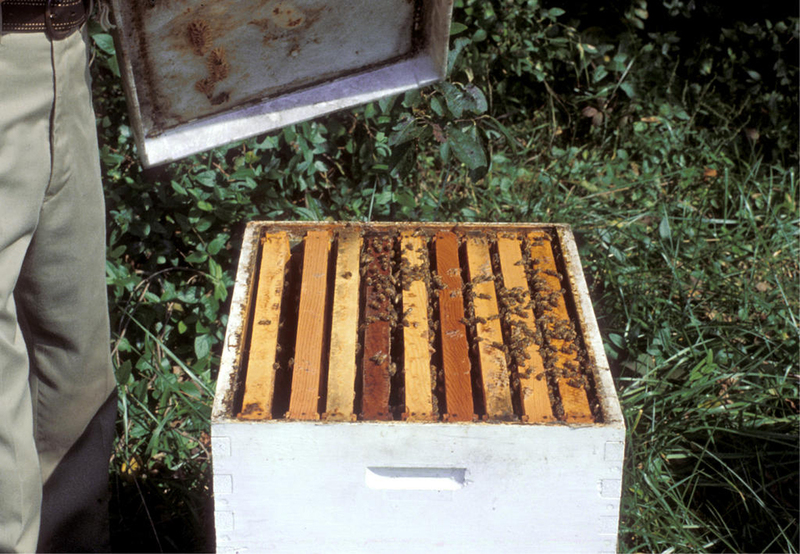 Hives with the disorder go from a robust colony with a large adult bee population to an empty hive with the queen and brood abandoned in the space of a few weeks. Clarence Collison, Mississippi State University Extension Service entomologist and head of MSU's Department of Entomology and Plant Pathology, said the colonies are collapsing without leaving quantities of dead bees to study. A workforce composed of state apiculturists, or scientists who study honey bees, personnel from state departments of agriculture and the U.S. Department of Agriculture's Agricultural Research Service are investigating the problem, collecting samples and dissecting dead bees to learn about the problem. When colony collapse disorder strikes, beekeepers can lose up to 90 percent of their hives in a very short time. Similar phenomena have been recorded before under such names as spring dwindling, disappearing disease and autumn collapse. Collison cited a similar collapse in 1896, and he recalled problems like this in the mid-1970s and early 1990s. “These are somewhat cyclical. Each time we go through one, it seems like the worst, but this one seems definitely the worst in my time,” Collison said. Richard Adee is owner of Adee Honey Farms, a bee-breeding operation in Woodville. He is the largest beekeeper in the nation, and annually takes his bees to California to pollinate the almond crop before bringing them back to Mississippi to split and requeen his colonies. “If they would just come home and die, then we could diagnose the problem,” Adee said. In late March, Adee was in Washington, D.C. for the congressional hearing on honey bee colony collapse disorder. He said bees are very important to several agriculture industries as they provide the pollination that allows crops to produce. 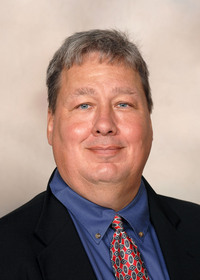 Harry Fulton, state entomologist with the Mississippi Department of Agriculture's Bureau of Plant Industry, said Mississippi's agriculture is not as dependent on bee pollination as is the agriculture in some states. 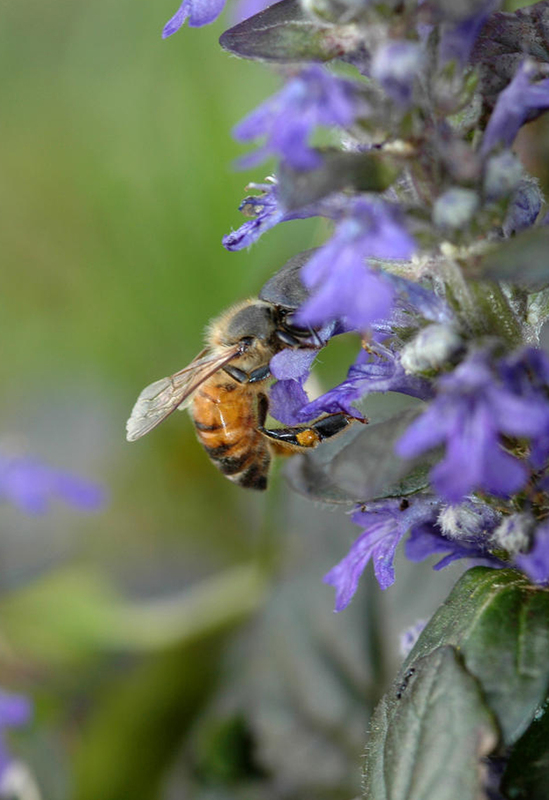 “In Mississippi, we have $250 million a year in crops that rely on bee pollination. Nationally, a Cornell University study said the value of bee pollination is $14.7 billion annually,” Fulton said. While no cause or trigger for the disorder has been identified, researchers have several suspects. These include pesticides, including imidacloprid, a systemic insecticide used extensively in fruit and vegetable production; parasitic mites and the viruses they can transfer to their hosts; chemicals used to control bee mites; and a new nosema disease of Western honey bees, which is a disease caused by protozoa. Fulton said dry weather across the nation last year probably hurt the quality of pollen produced. Pollen provides the nutrition bees need to survive. Poor nutrition would stress the bees' bodies, making them susceptible to other factors, such as the cold weather of winter. Colony collapse disorder has mostly appeared in Florida and up the East Coast to Pennsylvania, but beekeepers nationwide are concerned, especially those who transport their hives across the country to pollinate crops. Fulton, who is secretary/treasurer of the Mississippi Beekeepers Association, said Mississippi has two migratory beekeepers in the state, and one of them has been devastated by the disorder.